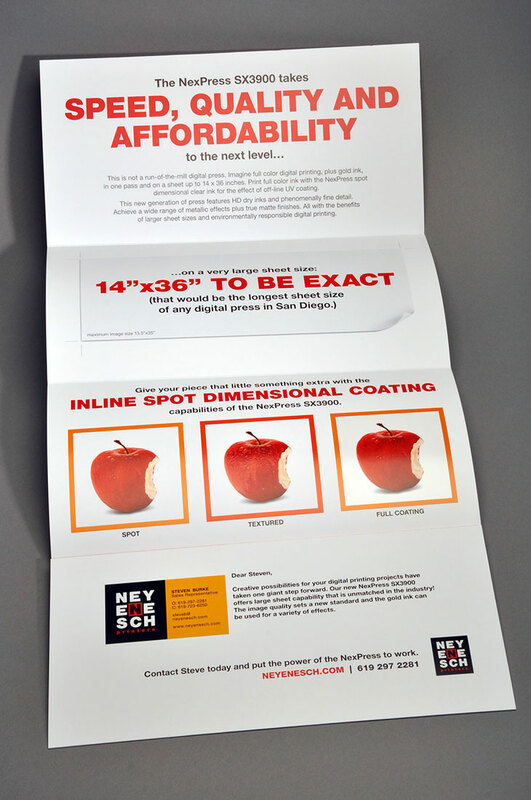 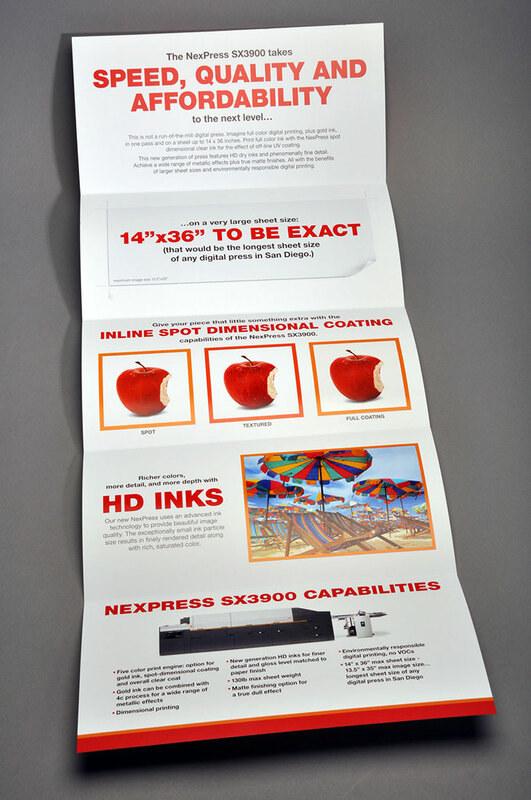 We recently mailed a roll-fold piece designed to showcase our five-color Kodak NexPress SX3900 digital production press. 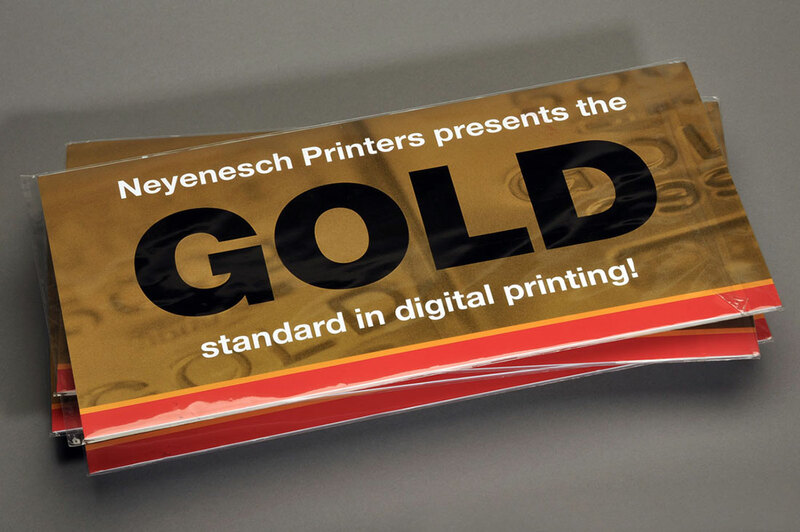 It can handle sheets up to 14 x 36 inches and can print in gold ink! 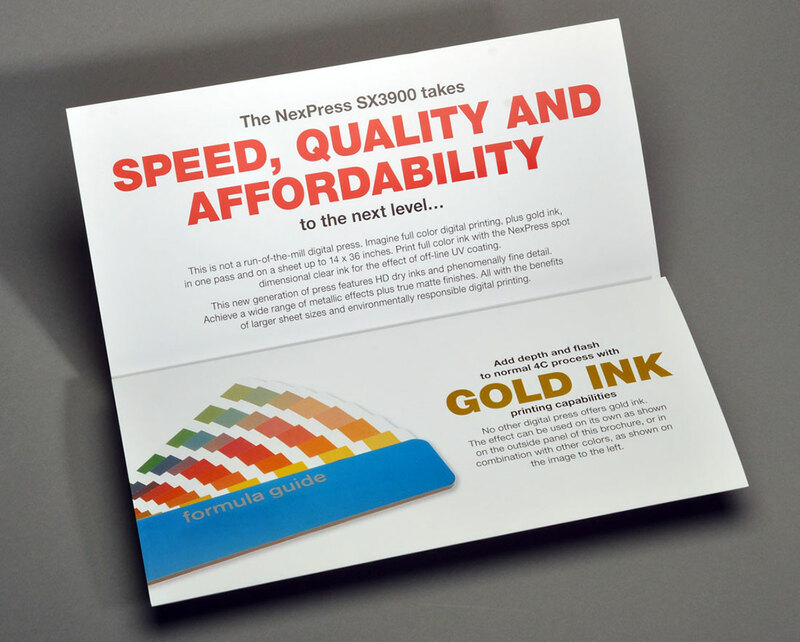 Because of the positive responses we’ve received, we saw it only fitting to use it as a featured project to share and demonstrate the new capabilities. 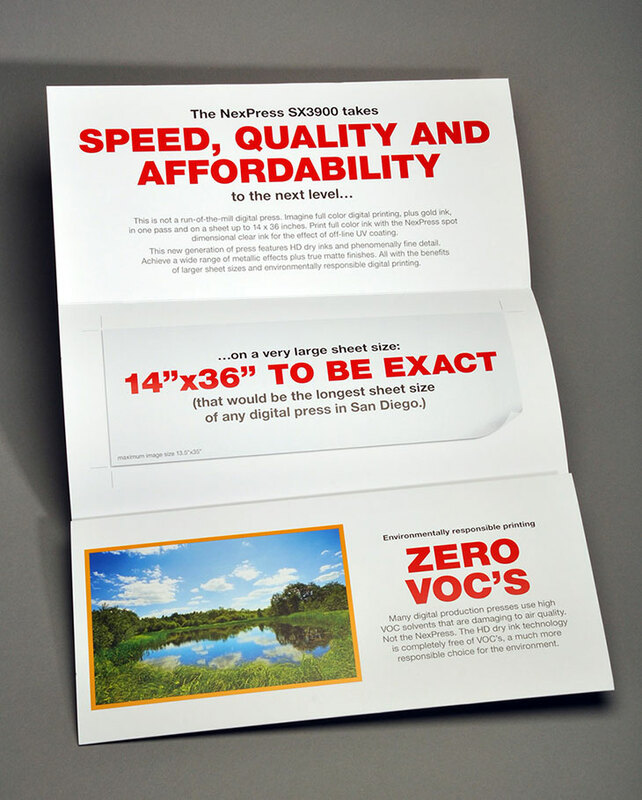 If you didn’t receive one in the mail, drop us a line and we’ll get one to you right away.